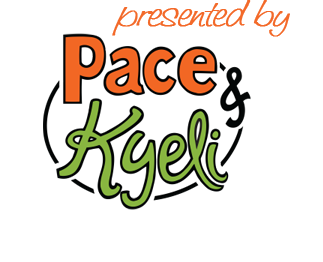 Hi, we're Pace and Kyeli! 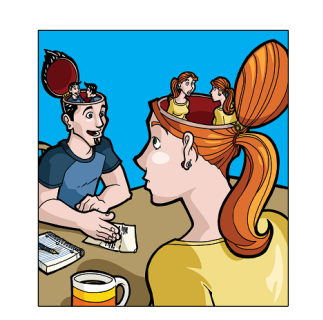 We teach helpful, sticky solutions to everyday communication problems. Everything in this book, each chapter and each concept, is something we (Pace and Kyeli) have used to communicate with each other and with loved ones, friends, family, coworkers, and sometimes even strangers. We’re telling you the stories of our lives, though some of the names and details have been changed. In our time together, we have talked, fought, talked, cried, talked, yelled, talked, argued, and talked. We’ve learned enormous amounts about ourselves, each other, and the world around us, and we’d like to share what we’ve learned with you. Honesty is the unspoken assumption behind every chapter in this book. In order for these techniques to work for you, you must be honest with yourself and with others. Tell the truth, the whole truth, and nothing but the truth. These communication tools are powerful, and like any powerful tool, they can be misused. If you are honest, you will use them well. Think of this as a workbook rather than an instruction manual. All of the chapters tie together with each other, so you may want to read it twice. You’ll also get a lot more out of it if you practice. As you read each chapter, think about how the topic has come up in your life, how it could improve your life, and how you could explain the concepts to your partner. (Throughout the book, we use “partner” to refer to either your romantic partner or, more generally, your communication partner. This could be your business partner, coworker, friend, family member, or anyone else with whom you communicate.) If you read with the aim of teaching, your understanding deepens.1 Even better, share this book with your partner and talk about each chapter as you read it together. The best way for you to become a better communicator is to communicate! This book is the fruit of our folly. May it bring you wisdom! 1. We learned this by reading The 7 Habits of Highly Effective People by Stephen Covey.